Zbigniew Kamieński, adviser to the president of NFOŚiGW’s board, has recently made some encouraging statements. During the conference Use of renewable energy sources and seasonal heat storage in district heating in Warsaw on 17 January, he said that the proposal of a new subsidy programme for renewable district heating deserved attention and implementation. The conference with nearly 130 attendees was organised jointly by NFOŚiGW, the National Fund for Environmental Protection and Water Management, and IEO, the Institute for Renewable Energy, and was supported by the SDHp2m project. 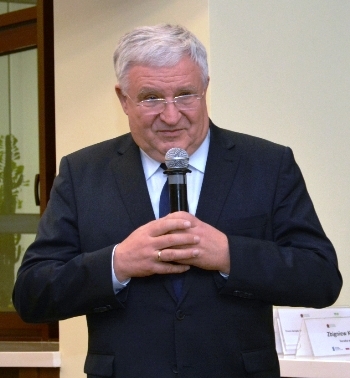 Grzegorz Wiśniewski, President of IEO (see photo), said in his opening speech that solar-assisted district heating had already been in use in a dozen Polish cities and needed to be scaled up. But heat had not yet been produced via the surplus electricity generated by the 6 GW of wind power in Poland. He emphasised that seasonal heat storage was the key to integrating volatile renewable energy sources, supported by biomass CHP and geothermal, into district heating networks. After all, water was still the cheapest medium for long-term storage of surplus power. His remarks were echoed by a panel in the afternoon, when it was said that the country needed the introduction of renewable energy sources into district heating. Else, it would not be possible for district heating companies to fulfil the requirement s of the European Energy Efficiency Directive and to meet Poland’s 2020 RES targets, as laid out in the EU’s Renewable Energy Directive. The lessons learned from the Danish market were presented by Per Kristensen from PlanEnergi, Denmark. He said that the fourth generation of district heating infrastructure should be based on smart, low-temperature networks. Professor Jan-Olof Dalenbäck from the Chalmers University of Technology, Sweden, underlined that the use of solar heat had many advantages which made it preferable to biomass. First, it offered stable, long-term guaranteed heat prices, independent of the rising cost of fossil fuels or CO2 emissions. In addition, biomass systems needed 30 to 50 times more surface area than solar collectors to deliver the same amount of energy to district heating. 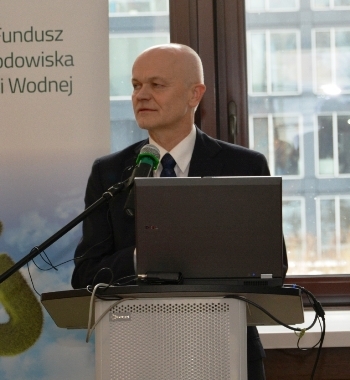 Kazimierz Kujda, President of the board of NFOŚiGW (see photo), affirmed that NFOŚiGW was preparing a programme to finance a series of pilot projects on renewable district heating for the Polish heating industry. They would be launched in a few months’ time. The initiative was backed by the participants of the first panel in the afternoon. They saw the establishment of a new support scheme by NFOŚiGW as a chance to modernise the country’s district heating network. NFOŚiGW is one of the biggest environmental funds in the European Union. IEO has already started gathering and analysing best practice examples of policy measures and subsidy programmes to promote RES and heat storage for district heating systems in other countries. Presentations by experts who attended the conference are available on NFOŚiGW’s website.